As he returned from his year-long ban for ball tampering two weeks ago there were questions about whether Smith could quickly regain touch due to not just his long absence from high-level cricket but also a serious elbow injury. Smith and fellow banned star David Warner both had elbow surgery in January but have so far shown no signs of being hampered by this in the IPL. Warner has returned in devastating form to be the leading runscorer so far in the IPL with 279 runs at 70 for the Sunrisers Hyderabad. Smith, meanwhile, has been far less dynamic than Warner but has looked sturdy in each of his four innings, making 73*, 38, 28 and 20 for a total of 159 runs at 53. The former Australian captain has never been on the same level as Warner in T20s. The left-handed opener is a bonafide matchwinner who intimidates opposition attacks and looks to bully bowlers. Smith, meanwhile, prefers to play the more sedate anchor role in T20s, holding up one end while his batting colleagues take the game on. This is just what he did yesterday on a slow pitch in Jaipur as his Rajasthan Royals took on the Kolkata Knight Riders. Smith looked untroubled throughout his innings, even against the world-class spin pair of Kuldeep Yadav and Sunil Narine. The Australian veteran worked the gaps expertly, ran well and gave no indications that he elbow was troubling him. While Smith executed his role nicely, with 73* from 59 balls, his side’s power hitters were unable to hold up their end of the bargain. English batsmen Jos Buttler and Ben Stokes are the two Royals charged with scoring at a frenetic pace while Smith and opener Ajinkya Rahane steer the innings. But Stokes and Buttler both had off nights, combining to make 44 from 48 balls at a snail-like scoring rate of just 5.5 runs per over. As a result Rajasthan managed just 3-139 from their 20 overs batting first, a total Kolkata reeled in with ease thanks in part to a sprightly knock of 50 from 32 balls by Aussie blaster Chris Lynn. Smith’s innings was by no means a masterclass. Like Buttler and Stokes he struggled to get going on a sluggish pitch against some good bowling. But Smith has never been a dominant T20 batsman – it is comfortably his worst format – and scoring at a rapid rate from the start of his innings is not something that comes easily to him. That matters not in regards to the upcoming World Cup, during which Smith’s role would be to anchor the innings from first drop, as he has done so well in the past. The 29-year-old has a sensational ODI record at No. 3, averaging 53 in that position from 53 matches. Smith’s greatest value as an ODI first drop is his ability to make tough runs. The best Test batsman in the world, he has the technique and temperament to combat elite pace bowlers even when the ball is hooping around and to score freely from star spinners even on a turning deck. There very likely will be times in the World Cup that Australia will find themselves in trouble early in an ODI innings against a quality bowling attack. It is at such a juncture that an in-form Smith, with his vast experience and Test-match pedigree, would be so crucial. 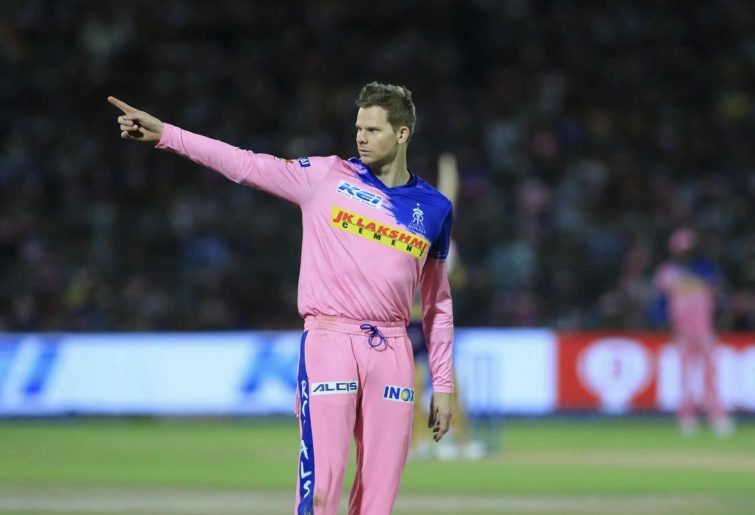 While he has a long way to go to prove that he is back to peak form, Smith’s IPL campaign thus far has been encouraging.